"...this is an excellent book which could easily be used as a course text..."
The Fourth Edition of Applied Linear Regression provides a thorough update of the basic theory and methodology of linear regression modeling. 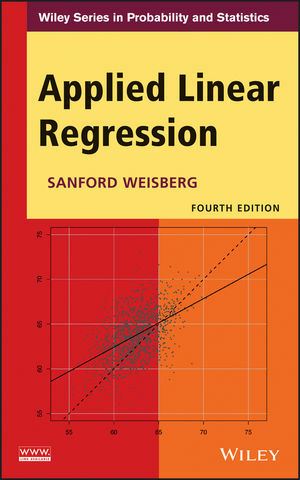 Demonstrating the practical applications of linear regression analysis techniques, the Fourth Edition uses interesting, real-world exercises and examples. Applied Linear Regression, Fourth Edition is an excellent textbook for upper-undergraduate and graduate-level students, as well as an appropriate reference guide for practitioners and applied statisticians in engineering, business administration, economics, and the social sciences. SANFORD WEISBERG, PhD, is Professor of Statistics and Director of the Statistical Consulting Service in the School of Statistics at the University of Minnesota. He is also a coauthor of Applied Regression Including Computing and Graphics and An Introduction to Regression Graphics, both published by Wiley.